When we think of compaction on a job site often the first words that come to mind are “get the Wacker Packer”. 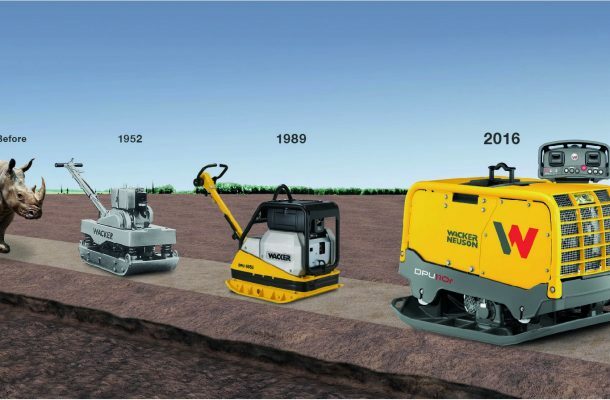 Wacker Neuson is globally recognised as a leading manufacturer of compaction equipment and as such many compaction machines are affectionately named after the company. It may be winding paths, traditional interlocking paving stones or boulevards with a generous layout, Wacker Neuson offers the right equipment for each project to create a high-quality and load-bearing substructure. Innovation is what separates leaders from the pack. Wacker Neuson is always innovating and looking at solutions to ensure their customers productivity, profitability and occupational health and safety. In the past to achieve the correct compaction density an amount of guesswork was required. Wacker Neuson’s solution to this problem was the introduction of the innovative “Compatec” compaction device on select vibrating plates. The compaction control display saves a great deal of time during job site operation. The operator receives information via the clear and easily understandable display about the compaction state of the soil while travelling over it. This saves time from unnecessary compaction passes but also money as the compaction quality on the total area is higher and more uniform from the start. Contractor’s equipment is also protected from unnecessary forces and over compaction. Safety on construction sites is a major concern and as such the introduction of infrared remote control on vibrating plates and rollers was a major innovation by Wacker Neuson. OH&S has always been more than just a motto at Wacker Neuson it’s part of the company’s core values, and embodied in all Wacker Neuson products. The new designed Low HAV handles on the Forward and Reverse range of plate compactors offer hand-arm vibrations of less than 2.5 m/s² providing an operatorfriendly ease of use. This is far below documentation requirements which allows an unlimited operation. The smart control system used on all Wacker Neuson remote compaction plates and trench rollers is a prime example of safety and comfort. It immediately detects when the operator has lost contact with the machine and automatically stops the machine. The line-of-sight infra-red control signal prevents operation of the machine away from the operator’s direct view. Infrared remote control provides a safer work environment. By using the infrared system, the operator works at ‘arm’s length’ from the plate compactor or roller, and is protected from vibration, dust and noise. The built-in safety zone won’t let the operator get too close to the moving machinery. Should the operator come within 2m of the machine, the unit will stop (even while maintaining line-of-sight). 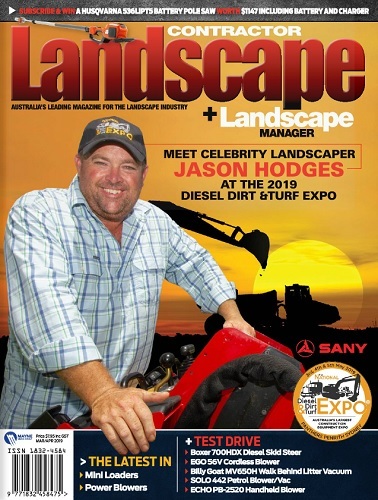 Landscape construction is a major target group for the company globally. Wacker Neuson have tailored their product range to ensure they are the partner of choice for all of your construction equipment requirements. A perfect example of this is the front cover of this edition. The image shows in a unique and innovative way some of the Wacker Neuson range of equipment that is designed to meet the many varied landscape construction projects that can test even the most experienced contractor. “There’s more to Wacker Neuson than just rammers”.